Moroccan Stained and Unstained Hand Carved Wooden Side Table from Badia Design Inc.
Benefits of purchasing unstained: some people like the neutral look and you can also paint it to your desired color. Note: We only offer the stained and unstained tables and do not paint it to other colors. 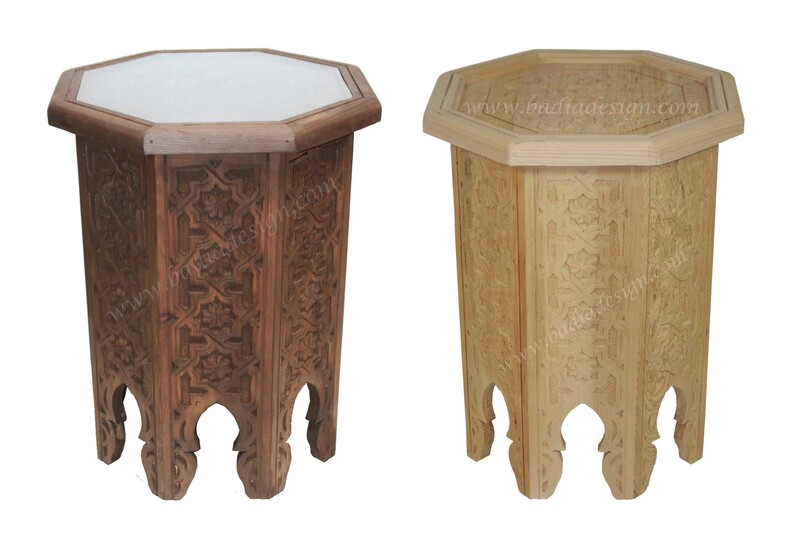 Click the button below to add the Hand Carved Wooden Side Table with Glass Top - CW-ST044 to your wish list.